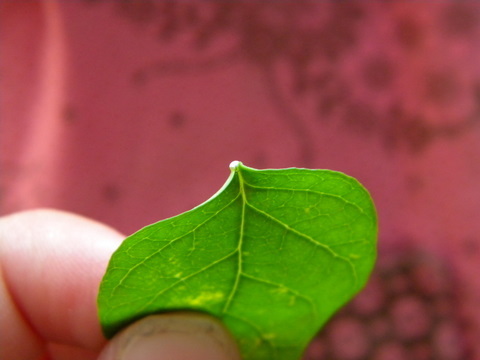 As M. plucked leaves from a bitter dogbane plant (Apocynum androsaemifolium, native and ubiquitous in our yard), she noticed the sticky, milky sap that oozed from its broken stems. This plant is closely related to milkweeds, and share with it and many other non-related plants this production of milky latex as a deterrent to herbivory by insects. Roses have thorns, and dogbane has sticky latex to gum up the chewing parts of insects. 1800 different plant species have been found to produce latex in various concentrations and quantities. Commercially, it is latex from the tropical tree Hevea brasiliensis that is harvested for natural rubber production. In 1912, this modest forb, bitter dogbane, was evaluated for use as a native rubber source. The quality of the latex was deemed high, but the quantity small. Just over 2% of the latex was composed of rubber, compared to 40-50% in latex from the Hevea trees. So I guess we’re not going into commercial production anytime soon.